Renewable energy is booming around Michigan! 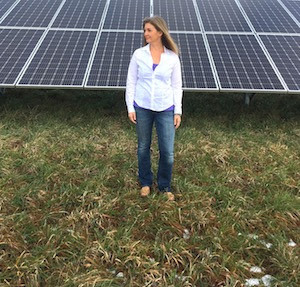 From our local megawatts in Traverse City ... to the anniversary of the solar carports in East Lansing ... to a new 300MW project near Owosso ... Michigan cities, towns, and communities are combining economic growth with clean energy for local profit. Michigan cities, towns, and communities are combining economic growth with clean energy for local profit. Here in northern Michigan, Groundwork and its partners have been working with several local communities to explore clean energy solutions that drive local innovation, investment, and jobs. Our hook has been 100% Clean Energy cities and towns—the idea of an entire community producing enough power with clean energy technology to cover its energy use for the year. The 100% goal has inspired a broader conversation about who wants clean energy, where they want it, where they don’t want it, who will pay the costs, and who will enjoy the benefits. LIVESTREAM ALERT: Tune into Groundwork's Facebook page at 3pm today, January 31, to hear Kate Madigan, leader of Michigan Climate Action Network, and Hans Voss discuss potential for environmental progress under the Whitmer administration. Over the past four years, Groundwork’s focus has been on four northern Michigan towns—Traverse City, Frankfort, Petoskey and Charlevoix. In each community, we are working with innovative local and regional leaders to map out realistic but ambitious plans to get to 100% clean energy while taking advantage of all the benefits that a new clean energy economy can bring to a region. Our work has been generously supported through a C.S. 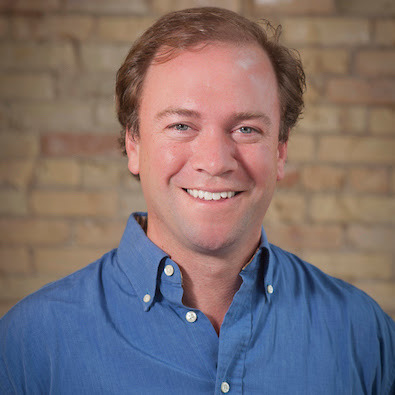 Mott initiative that is helping the Petoskey–Harbor Springs Community Foundation, the Grand Traverse Regional Community Foundation, and the Charlevoix Community Foundation drive clean energy work forward in Petoskey, Charlevoix and Traverse City. The north’s clean energy advocates achieved a high-profile win this year when the Traverse City municipally owned utility, Traverse City Light & Power, committed to achieving 100% clean energy throughout its grid by 2040. The August vote by the TCLP board made Traverse City the first town in Michigan to make an official community-wide commitment, joining 75 other government bodies around the nation that have committed to 100%. The utility-wide commitment follows an earlier goal to make all TC municipal buildings 100% clean-powered by 2020. That timetable is the most ambitious in Michigan, and the city is far down the path of assessing viable options for reaching the 2020 goal. We are working with them to map city-owned land for solar installations, identify potential developers, explore financing, and connect to TCLP and others considering their own solar projects. The Traverse City 100 push began in mid-2016, when clean energy advocates began meeting regularly to discuss Traverse City possibilities, meetings that built upon decades of advocacy by groups like Groundwork and the Northern Michigan Environmental Action Council. Traverse City’s commitment and on-the-ground results will no doubt serve as inspiration for communities across the nation. In 2019, Traverse City leaders are eager to meet their 100% commitment and will work to commit to a path forward. Traverse City Light & Power will continue to consider and evaluate local, regional, and statewide renewable energy proposals as part of its state-leading path to 100%. From May 21 thru 23, Groundwork will organize the 3rd Annual Michigan Clean Energy Conference, bringing together leaders from around the region, state, and nation to drive a clean energy future. This year’s conference will include a “Deal Making” session designed to bring together potential solar customers like Traverse City with investors, developers, land owners, and municipal and county leaders to accelerate project development and bidding. Frankfort has a history of clean energy work that the community is now expanding upon. A few years back, the city hired Michigan Energy Options to conduct an extensive energy audit of municipal buildings, and more recently Frankfort locals, including leaders from the Benzie Solar Initiative, partnered with Groundwork on a Shines program to help homeowners with financing and technical assistance for installing solar panels. Groundwork was brought in through a USDA grant to help think through how the community and the county could benefit from a new-energy economy. We mapped the community for solar—looking at where they could put solar installations and how financing might work. Meanwhile SEEDS assessed possible efficiency gains. In 2019 Groundwork will dive even deeper into the Frankfort clean energy mission and look at next steps for building support for a community-wide Clean Energy Plan and possible 100% clean energy commitment. As we’ve seen in Traverse City, a commitment to 100% can really move things along, but a lot of background work must be done to make sure the community does in fact want that. Laying that groundwork leads to achieving not just the commitment, but also the goal. Petoskey has had clean energy work front and center for several years. In 2018, Petoskey added several aggressive sustainability initiatives into its master plan. Local efforts have also been driven by Positive Energy Petoskey (PEP), which has pushed the community to consider renewable energy and to implement energy efficiency measures. Recently, over 30 community leaders came together at North Central Michigan College to discuss clean energy possibilities. The inspiring session made clear that Petoskey is ready for the new energy economy. In 2019, Groundwork will work with local leaders to wrap up our Mott-driven Community Foundation project, culminating with a solar map and clean energy report. We’ll be looking at rooftops of municipal buildings downtown but also at locations outside of downtown. Petoskey, like Traverse City and Charlevoix, has a municipally owned utility, so we are looking at ways the communities can get together on purchase of solar installations to provide the most economic benefit to their constituents. Like other northern Michigan towns, Charlevoix also has a long history of clean energy action. In 2010, Charlevoix was awarded $50,000 in an Energy Efficiency & Conservation Block Grant for sustainability efforts. In 2018, the city council listed sustainability as a high priority and the city is moving forward on many levels. In April, Charlevoix, along with Petoskey and Traverse City, offered a voluntary green pricing program for its residents to purchase clean energy. In 2019, we will be working with Charlevoix leaders to map out and consider several options for local clean energy projects. We have already identified city properties as well as local nonprofits and businesses that could be candidates for solar installations. While these cities provide an exciting snapshot of clean energy work across northwest Michigan, they are just the tip of the iceberg. The more our 100% work grows in breadth and depth, the more we see regional system connections and leverage points. 100% communities working together on larger scale renewable projects can bring price down. As another example of working together, Charlevoix, Petoskey and Traverse City are discussing running a fun competition to see which municipally owned utility can sign up the most customers for their green rate, which enables electricity customers to purchase up to 100% clean energy for their homes and businesses for a slight premium. This type of creative, collaborative project, and the publicity it will generate, is just another example of what embracing clean energy can bring to a city and region. We look forward to playing a central role in similar efforts across our region and state. Groundwork is always looking for more cities seeking support to explore 100% commitments and clean energy solutions. Please be in touch if we can help your community! The Envirothon team at Glen Lake Schools was $10,000 shy of being able to purchase the solar array they'd worked so hard to secure for their school. Then they heard of Groundwork's new crowd-funding site designed to help nonprofits purchase clean energy infrastructure. Upshot: Say hello to a solar array that will be installed this spring! Here's how they hit the funding goal.